We’ve got a sighting to share with you now. The Generations Cyber Battalion Series – those large, Legends-styled figures originally developed for emerging markets – have finally made an appearance at UK retail. Series 2 of the Cyber Battalion figures have been found. 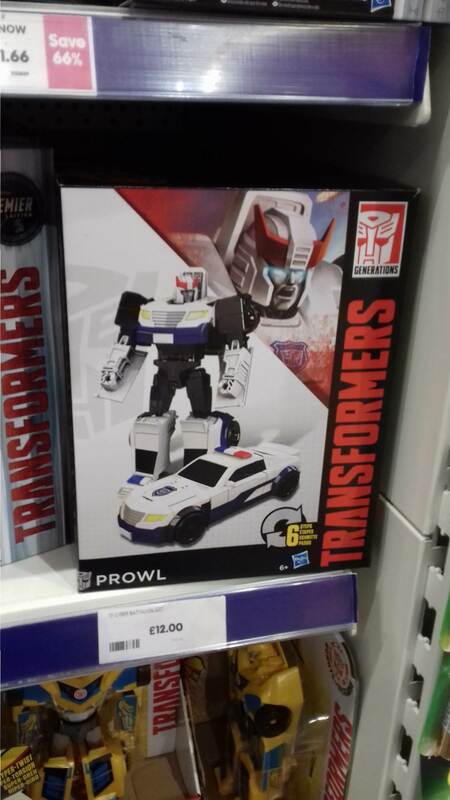 This is the series that includes Prowl and Jetfire, along with Optimus Prime and Bumblebee, and they were found in The Entertainer in Basingstoke. For those also checking out The Entertainer, you might like to know they’re also selling the Power of the Primes Leader class for £35. Happy hunting, one and all!